Ambassador Martin Vidal was born in Paysandú, Uruguay. A carreer diplomat, Ambassador Vidal joined the Foreign Service of Uruguay in 1997 starting his formation at the Diplomatic School ¨Instituto Artigas del Servicio Exterior¨ and has served in the Embassy of Uruguay to Brazil and the Permanent Representation of Uruguay to the United Nations where his last assignment was Deputy Permanent Representative. While at headquarters in the Foreign Ministry of Uruguay in Montevideo, Ambassador Vidal served in the General Direction for MERCOSUR Affairs, the Secretary General´s Cabinet, and most recently he was Director of Environment and later Director General of Political Affairs, position he held until his posting to Canada. 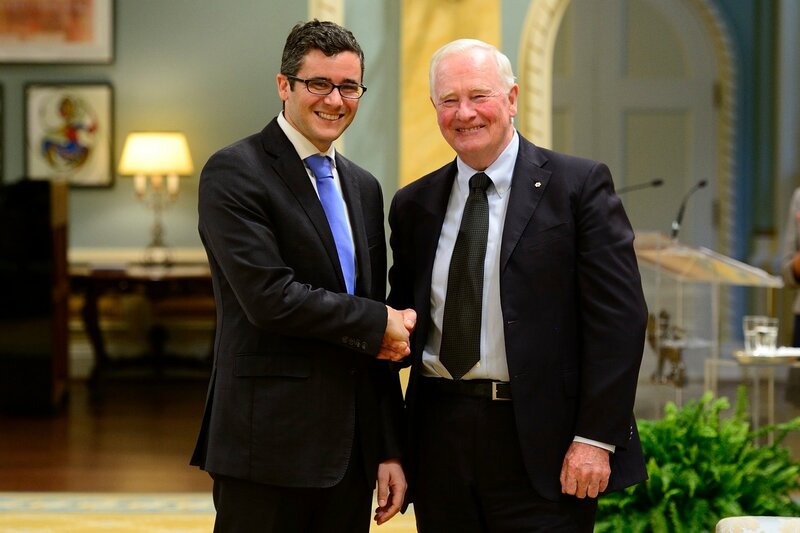 Ambassador Vidal presented his Letters of Credence to the Governor General of Canada H.E. the Right Honourable David Johnston, in September 2016. Ambassador Vidal is fluent in Portuguese, English and French, with a background in International Relations, an avid sportsperson, a husband and father of two, Bruno and Sabrina.